What Is The Defense Center Virus? 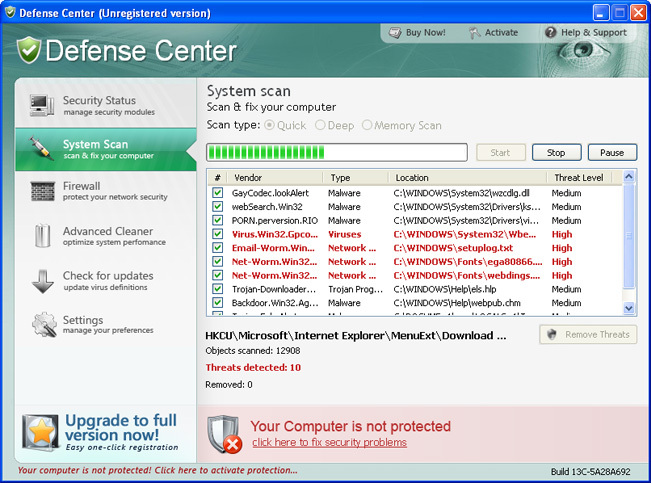 The Defense Center virus is a program that is installed from the Internet. It acts like an “official” antivirus program, in that it attempts to scan your PC for errors and shows them on its screen…. however, the big problem with this tool is that it does not do anything to help protect your PC from viruses – all that you see on screen is fake. This program has been designed to con you into buying the upgrade, so the hackers who developed it can steal your money. 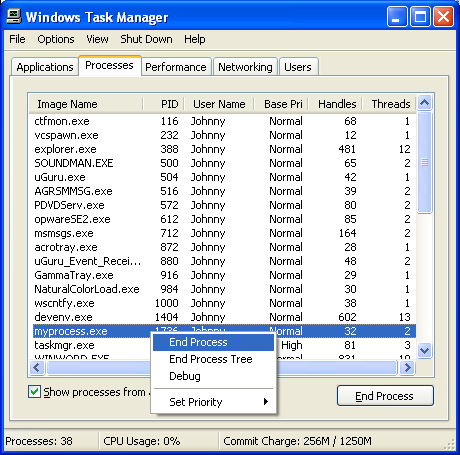 Malware Bytes is a free spyware & malware removal tool which you can download here. You need to install it on your PC and then let it scan your system. If you don’t have access to the Internet (because Defense Center blocked it) then you should download this tool on another PC and then transfer the installation file via CD or USB pen. Defense Center is very effective at removing the actual infection from your PC, it does not finish the job properly… and ends up leaving a series of settings on your PC. These are kept in the ‘registry’ database and can actually allow the infection back onto your PC. In order to fully protect yourself, it is recommended that you download a registry cleaner and then use it to remove any of the infected ‘Defense Center’ registry keys that can still cause problems. This tool is automated and is very easy to use. Be sure to delete this directory by navigating to it, and using “SHIFT + DELETE”. This will completely remove it from your system.